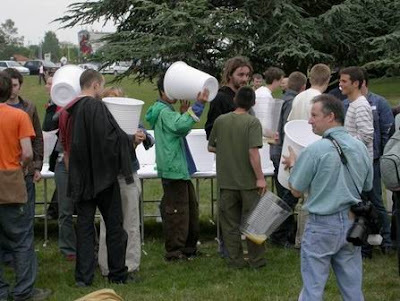 May all members of staff please note that there will only be one drink per person at this year's Christmas Party. And please bring your own cup ! You've got upper-middle management written all over you son.